,Download Dr.Web Katana 1.0.1.12070 free setup for windows. It is a smart security application which has excellent ability of protection against latest active threats, target attacks, and attempts by Trojans and exploits to use vulnerabilities. 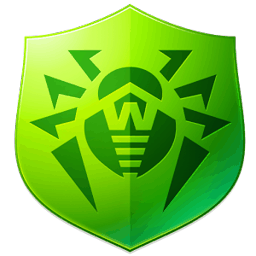 Dr.Web Katana is a lightweight security application which has many rich features. Due to the simple and well-managed interface, anyone can use it with very basic computer skills. Basically, It is the complete security suite with a set of next-generation Dr.Web anti-virus technologies that is designed to provide ultimate protection. The advance security mechanism provides a shield for the user’s computer against all the threats. It also provides non-signature antivirus solutions and that’s the reason it can easily detect malware that cannot be yet identified by traditional, signature-based antivirus utility. One of the brightest features of this antivirus tool is that it analyses the behavior of each threat in real-time. It immediately neutralises harmful scripts and processes that common anti-virus didn’t manage to recognise. In short, it is one of the best security tools, you can use it as second line of defense. As it has the ability to stops malware before it gets to exploit any vulnerability on user’s machine. So if you are worried about your online and offline PC security and for this looking the best security tool then our recommendation is Dr.Web Katana. Click on the link given below to download Dr.Web Katana 1.0.1.12070 free setup. This is the complete offline setup of Dr.Web Katana which has excellent compatibility with both 32bit and 64bit operating systems.